Dr Ngozi Okonjo-Iweala, Nigeria’s former Finance Minister, has stated that Governor Adams Oshiomhole of Edo state is suffering numerical diarrhea after he alleged that she took $1billion to fund the re-election bid of former president Goodluck Jonathan. In statement issued by Paul C Nwabuikwu, media adviser Okonjo-Iweala, he described Oshiomhole’s accusations as “another false, baseless allegation against Okonjo-Iweala by Oshiomhole. “The allegation by Governor Adams Oshiomhole of Edo State that former Minister of Finance Dr Ngozi Okonjo-Iweala spent $1 billion out of the Excess Crude Account to fund the re-election bid of former President Jonathan is the kind of ludicrously false statement that has unfortunately become a trademark of the Governor in his public campaign of falsehood against Dr Okonjo-Iweala,” the statement said. “The statement is just another example of the numerical diarrhea that seems to have afflicted His Excellency in recent times in his effort to damage the reputation of the former Minister. 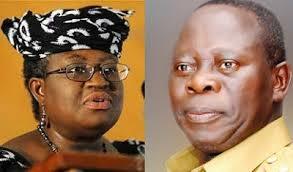 Okonjo-Iweala then stated that Oshiomhole’s accusations totally lack any credibility. 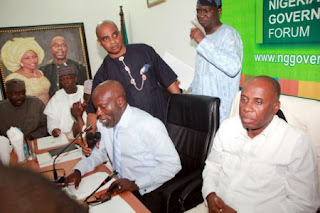 ” Governor Oshiomhole’s published comments also contain other falsehoods. For instance, he quoted Dr Okonjo-Iweala as saying that she and the Finance Commissioners of the 36 states approved the spending of $2.1 billion out of the Excess Crude Account, adding that the Commissioners had disowned the statement. This is also a complete distortion. “Dr Okonjo-Iweala never said the Federation Accounts Allocation Committee (FAAC) approved spending out of the ECA. Rather as the Commissioners themselves stated, the former Minister of State Finance informed them that former President Jonathan approved the expenditure to end the debilitating fuel queues across the country. “As Nigerians know, the Finance Ministry under Okonjo-Iweala regularly published details of revenue allocations from the ECA in national media. So Oshiomhole’s tortured “calculations” based on his “four figure tables” are mere political numbers conjured to achieve a political purpose. Nigerians can see through the elaborate antics. “Governor Oshiomhole’s latest statement, like earlier ones, labours to give the impression that the entire FAAC process which involves the Federal Government and the 36 states of the Federation is a personal monopoly of Dr Okonjo-Iweala. “This is, of course not true. FAAC is a long standing national platform for allocating revenues chaired by the Minister of State Finance. The governor’s insistence on pushing this clearly fictional narrative underscores his desperation. “It is instructive that Governor Oshiomhole is a key member of the committee set up by the National Economic Council to investigate the ECA spending. His continuing attacks against Dr Okonjo-Iweala seem to suggest that he has lost confidence in this platform which he deployed to make some of his initial false and baseless allegations. The Governor does not seem to appreciate that he is undermining the very credibility of the committee. “Once again, we ask: why are Oshiomhole and his cohorts so ready to sacrifice truth, precedent and decency in this political witch hunt against Dr Okonjo-Iweala? 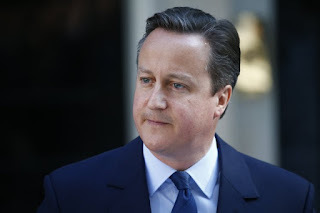 We are confident that they will fail because truth will triumph,” the statement read.